Freezing cold February is here once again. But it’s not just you that feels Jack Frost biting, dogs feel the chill too. 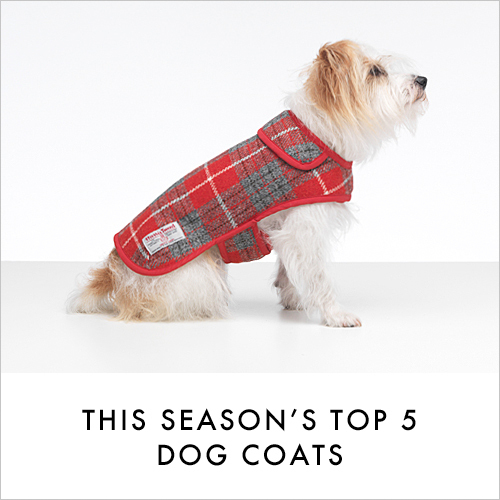 Designer dog coats aren’t just about style. Good ones help keep your dog warm when out and about. 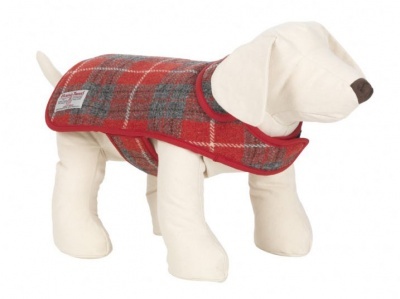 Here are our 5 top Winter dog coats. 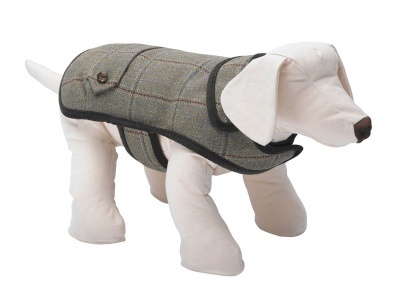 Our Digby dog coat is a hardwearing tweed, inspired by a huge oil painting in a stately home. This distinguished collection also suits a wide variety of dog breeds with Labradors in particular looking very majestic in the tweed check. It’s stain resistant and showerproof, features bronze crested buttons and the soft green corduroy edging gives it lovely detailing. See more photos and Buy now. Our signature collection suits all breeds, but is a great choice for Pugs. Breathing difficulties in Pugs means this breed doesn’t always move very fast so this coat will help keep them warm whilst out and about, important for both young and old pugs alike. This particular Hoxton Tartan designer dog coat is made using soft Harris Tweed, handwoven to our own unique design on the Outer Hebrides. Buy now. Frenchies can have a miserable time in the cold but our warm Allerton dog coats really suit this playful and affectionate breed. The detailing of soft yellow corduroy around the edges gives the Scottish tweed a contemporary design and feel. Buy now. 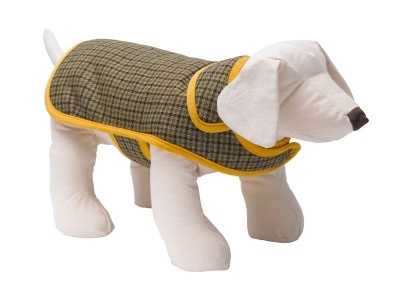 This designer dog coat is a real favourite for Daxi lovers. These dogs are so low to the ground that they can get really cold, particularly if short ‘coated’. So keep them warm in an Appleby. 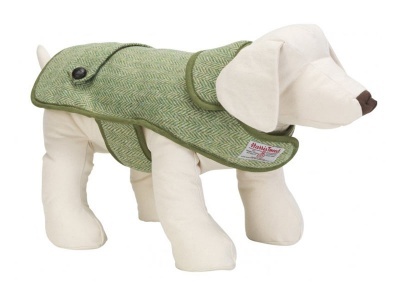 With its durable herringbone pattern Harris Tweed, this coat will help keep their chests warm. Buy now. Young and old Greyhounds and Whippets certainly feel the cold as they’ve got really sensitive skin. 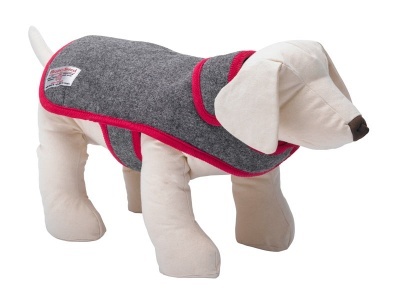 They require something soft to sit against their natural short coat so we recommend the LMD hand-crafted Daplyn. Inspired by Miss Marple in ‘A Caribbean Mystery’ this soft yet hardwearing collection is handcrafted in genuine Harris Tweed. Buy now.